Hoove Tarn is, or should I say was, a tarn in the far north-east of the Yorkshire Dales National Park. 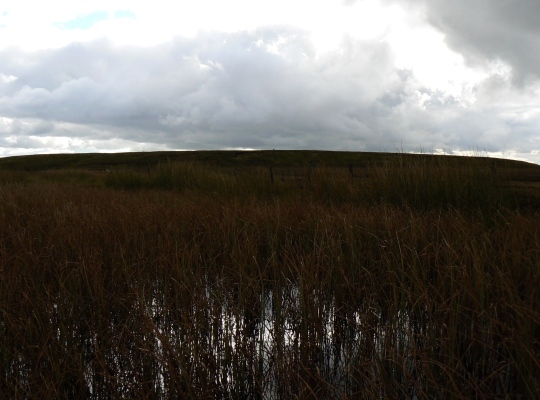 Today there are more reeds than water in the tarn. The sad state of Hoove Tarn was a major disappointment when I visited it back in 2010 on a largely pathless outing that also took in the trig points on Booze Moor and Hoove. 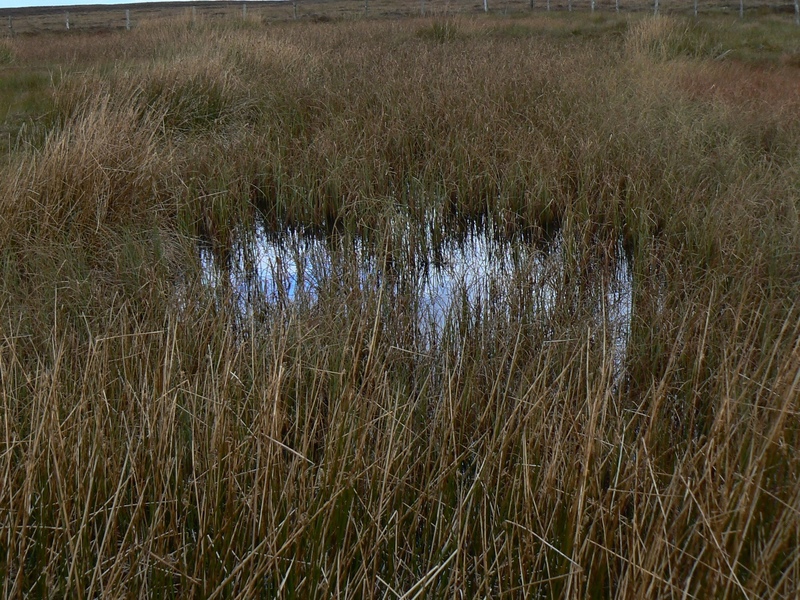 Fenced off, it seems to be nothing more than a reedy marsh, its current state perhaps a result of the man made drainage ditches that cross the moor in this area and which seem to be a part of the management of this section of the moor for grouse shooting purposes.